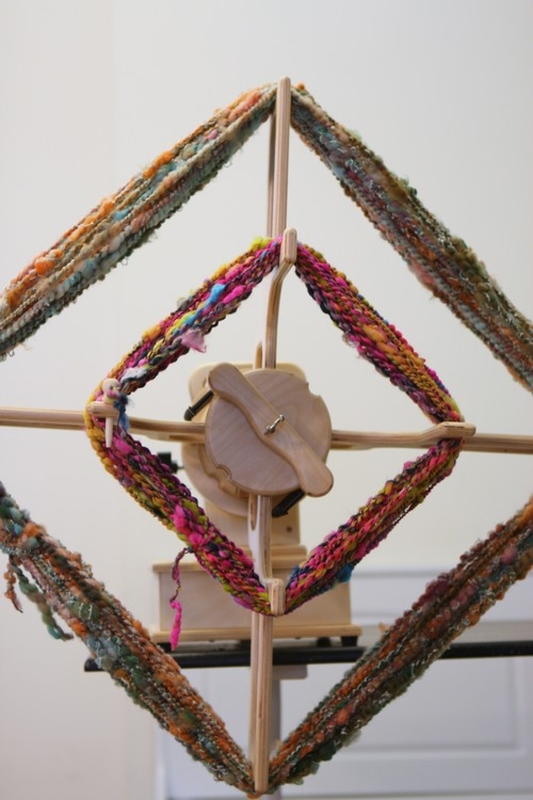 The skein winder can wind both 1 & 2 yard skeins. It can be inserted onto the Monarch, Echo, Firefly, Hopper, King and Worker Bee on any setup 8 oz or larger - just like a bobbin. It cannot be inserted into a 4 oz setup because it is too wide, and it cannot be inserted into the 12 oz setup because it is too long. The skein winder will lock into place on the 8 oz flyer - as it is the same size as an 8 oz bobbin. Secure it with the magnetic orifice bar on the 8 oz setup, as well as the 16 & 32. The skein winder is included in the Echo, Hopper, Firefly, and Monarch Package Deals. The skein winder comes apart into two pieces and lays flat for easy storage and transportation.